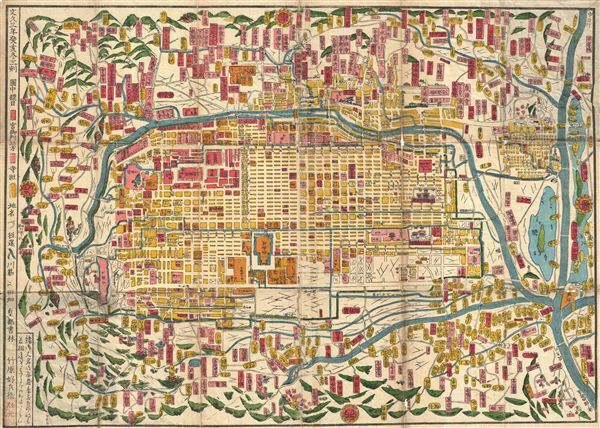 A fine Japanese Tokugawa or edo era woodblock map of Kyoto, Japan. Covers all of Kyoto as well as some of the surrounding hills. Printed in the traditional Japanese style popular during the edo Period, with topography shown in profile, no firm directional orientation, and map titles in cartouches. Dated Bunkyu 3 or 1863. Very good conditon. Original fold lines exhibit some wear and minor loss at fold intersections.